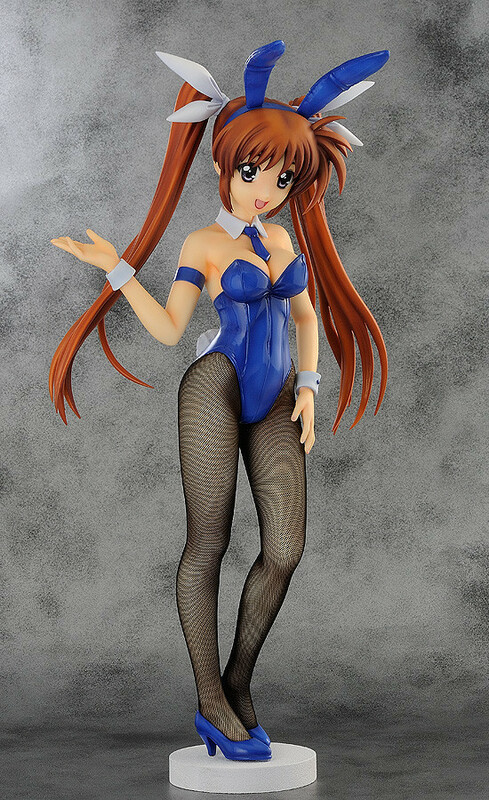 Freeing loves their 1/4 Bunny Girl figures, I do too even though I don’t have of them but maybe things will turn around with this new Nanoha set. 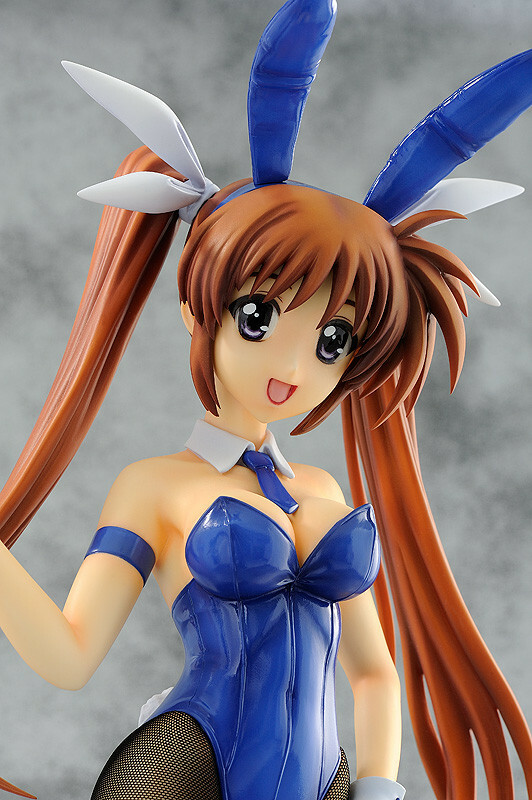 First out for pre-order is Nanoha but they are making Hayate and Fate as well! Of course it’s the Strikers version, I do think it would be awesome to have a Loli version of the three as well. Nice view from the back, I adore the fishnets. 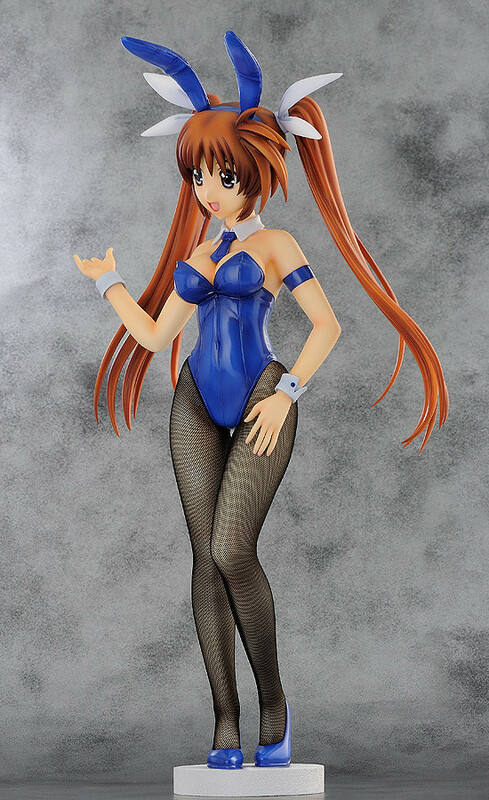 More figure companies need to include actual fishnets! The other girls are going to be fabulous! 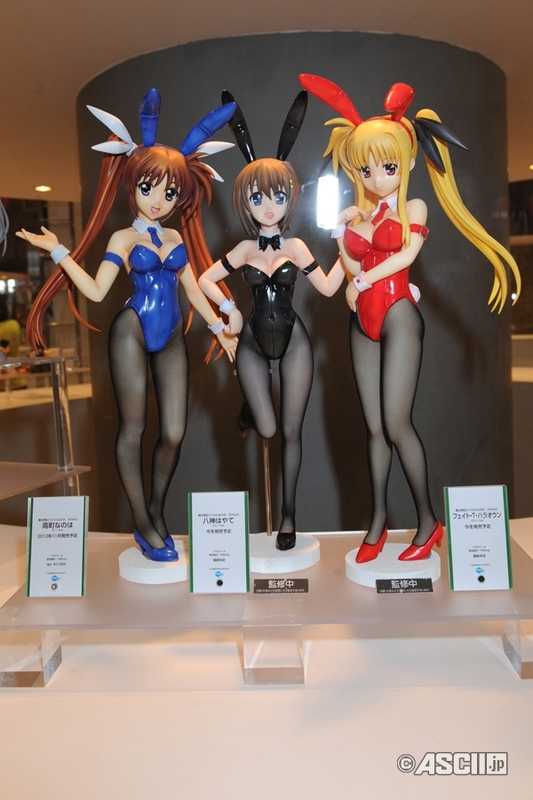 We even got a nice teaser of them all painted at this last Wonfes! She’s really adorable and only just came out for pre-order, she’ll be out sometime around December for about 13,000 yen. 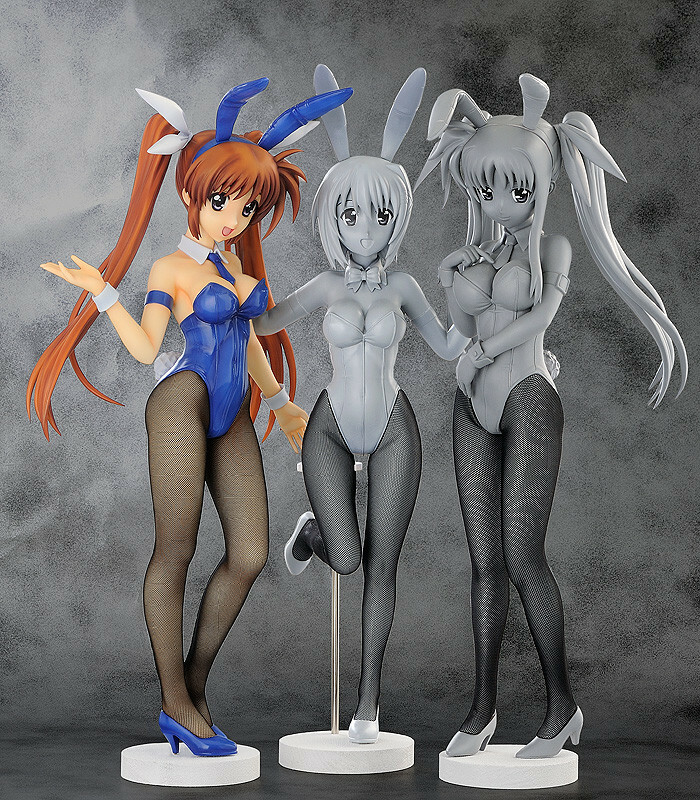 Fan of Nanoha, Bunny Girls and awesome figures? I’d so get this figure! Get your own Nanoha at anyone of these awesome retailers!